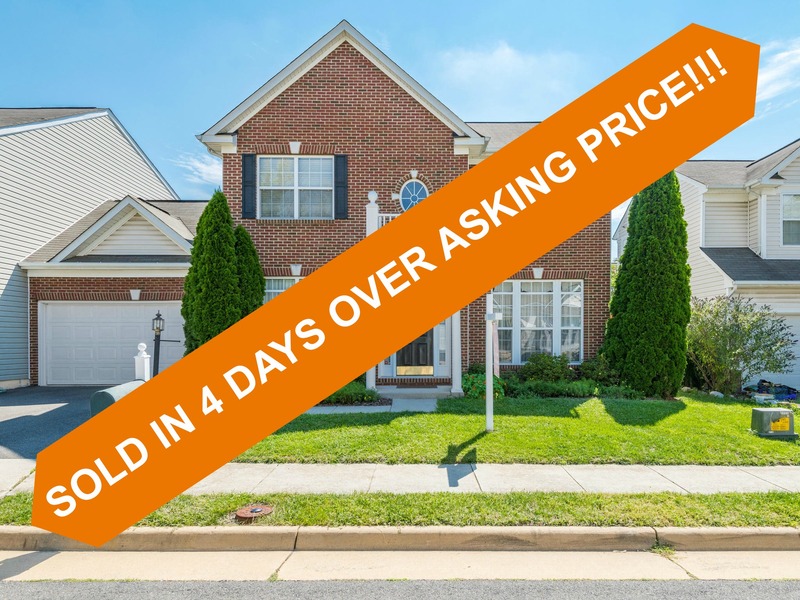 Find out how much your home might sell for with our Ashburn House Value Estimator. 21440 Humbolt Square, Ashburn, VA 20148 is a light, bright & airy 2-level Hyannis model in desired Broadlands, featuring 3 bedrooms, 2 full baths and 1 half bath, 2 car garage and 2,407 square feet of finished living space awash with natural light. The main living level boasts an open concept layout with 3” wide plank hardwood floors and neutral finishes. The gourmet kitchen features stainless steel appliances, granite counters and large corner pantry. Cozy up next to the gas fireplace in the family room with cathedral ceilings. Rest your head in the master bedroom with 2 walk-in closets and en-suite bathroom with dual sink vanity and separate shower and tub. Finishing out the upper level are 2 spacious bedrooms, an additional full bathroom and separate laundry room. The fall season can be enjoyed on the spacious deck with a drink in hand. Look out to the fenced yard with gardens and watch the leaves changing colors. A commuters dream just minutes to Dulles Greenway, Dulles Airport, Ashburn Metro station and all the restaurants and retail Broadlands offers. Enjoy all the amenities available in the community including multiple pools, parks, tennis and basketball courts, walking paths and even a nature center. Contact The Spear Realty Group at 703-618-6892 for a showing!